PHILADELPHIA – A fraud action brought by State Farm Mutual Insurance Company against a pair of medical providers and their employees has been dismissed in federal court, with the plaintiffs given leave to amend their complaint. State Farm alleges defendants Eastern Approach Rehabilitation, Aquatic Therapy of Chinatown, Inc. Leonard Stavropolskiy, P.T., D.C. and Joseph Wang, P.T., D.C. defrauded the plaintiffs by filing false and fraudulent insurance claims. Wang and Stavropolskiy are owners and shareholders of Eastern Approach and Aquatic Therapy, respectively, which provide chiropractic and medical examinations, treatment, testing, and services to patients. Further, State Farm alleges the defendants then submitted these false claims to plaintiffs in order to receive payments. State Farm filed this action on Oct. 30, 2015, alleging the defendants committed common law fraud, statutory insurance fraud, and obtained unjust enrichment. 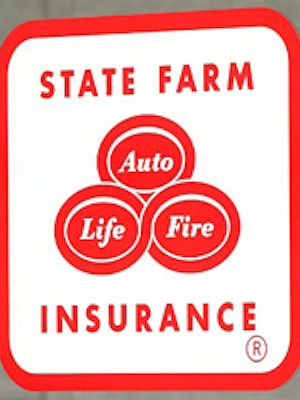 In addition to damages and restitution, State Farm seeks a declaratory judgment. On Dec. 2, 2015, the defendants filed their motion to dismiss the suit. State Farm alleges common law and statutory frauds under Pennsylvania law, both of which require the more stringent pleading requirements under Rule 9(b); a pleading standard the defendants felt the plaintiffs failed to meet. Judge J. Curtis Joyner of the U.S. District Court for the Eastern District of Pennsylvania agreed State Farm did not meet this burden of proof for fraud. “Plaintiffs here have attached a chart to the complaint indicating which diagnoses were made and which symptoms were observed for each of the 332 claimed instances of fraud,” Joyner said. “The chart indicates whether the claim came from Eastern Approach or Aquatic Therapy, but it does not identify the specific actor making the misrepresentation. The Plaintiffs have failed to demonstrate a particular actor who made the allegedly fraudulent allegations,” Joyner added. Joyner added State Farm “failed to indicate which claims were not provided and which were not necessary, nor have they alleged that this is information that is within the control of the defendants,” a necessary component of proving fraud under the Rule 9(b) standard. “Plaintiffs also do not plead sufficient facts to show the involvement of Stavropolskiy and Wang. The Complaint alleges that Stavropolskiy and Wang conspired to facilitate the scheme, but it does not allege in which instances or how,” Joyner stated. “Instead, the Plaintiffs offer the legal conclusion that Stavropolskiy and Wang conspired. Accordingly, we grant the motion to dismiss the claims against Stavropolskiy and Wang,” Joyner said. As to the unjust enrichment claims in State Farm’s complaint, Joyner also rendered them dismissed. State Farm also sought a declaration that the unpaid bills submitted by the defendants are not compensable because they are part of the same alleged fraud scheme. The defendants opposed this move, claiming the unpaid bills are separate from the other claims at issue in the case and sought a counter-declaration of their right not to pay State Farm. Joyner concurred with the defendants. The plaintiff is represented by Matthew A. Moroney and Richard Michael Castagna of Goldberg Miller & Rubin, in Philadelphia. The defendant is represented by Andrew Patrick Baratta of Baratta Russell & Baratta, in Huntingdon Valley.